I don’t travel internationally very often so when I do I like to feel extra prepared. I actually made a checklist for myself so that I don’t forget anything (though if I do forget something it’s probably easily replaceable in the country I’m visiting but I still like to bring my own so there’s no hassle). I’m only bringing one checked luggage, one carryon backpack, and one small purse (not pictured above). Since it’s the summer and I’m only going on a one week trip, I was able to fit everything into one luggage. 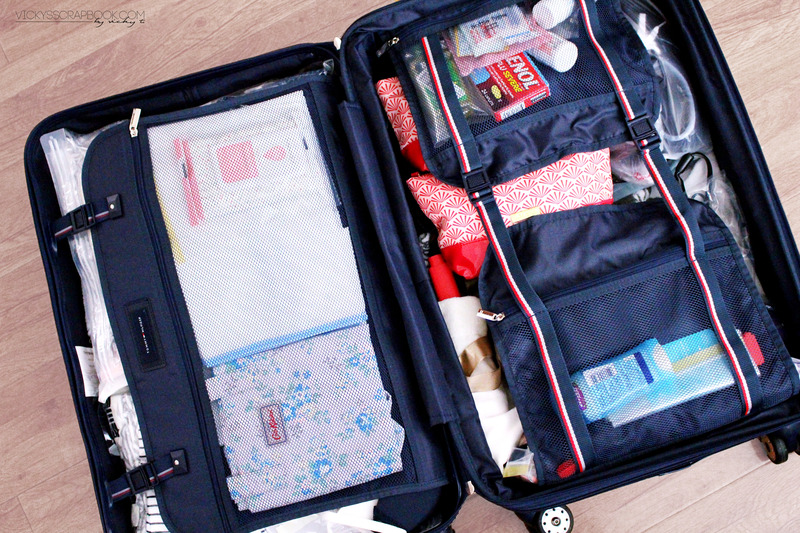 Since I already wrote out my checklist, I thought it might be helpful for those that are also going on a trip and want to get an idea of what to bring in their checked bag. Below is my checklist (there’s really no specific formula to packing your luggage but please remember to check what you can actually bring in your luggage). If you live in the U.S. like I do, check out the TSA site on what you can bring (check the link here). Finally, clothes and underwear of course! Not exactly a hack but I like to get these travel bottles and containers and fill them with what I need so I don’t have to bring the enormous bottles of product with me. I got these from Daiso but you could pretty much find these types of bottles/containers anywhere. 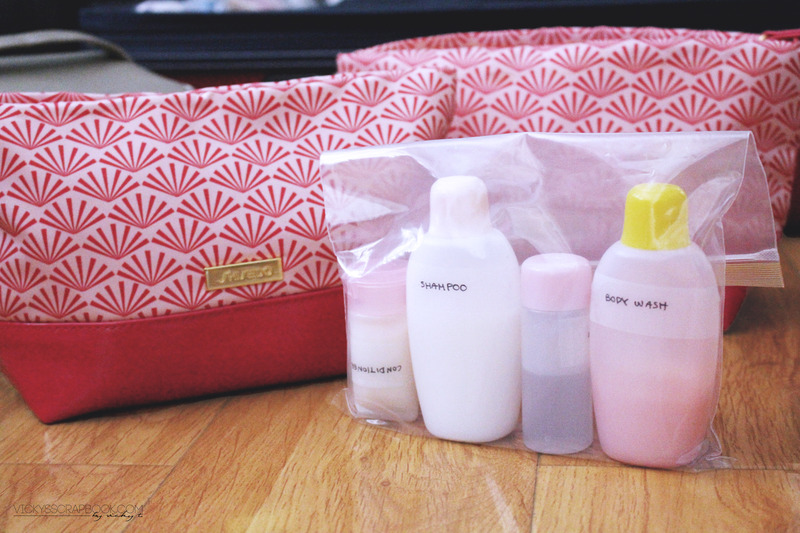 To prevent the bottles from spilling into my luggage, I put them into ziplock bags that then get categorized into makeup, and skincare/body care product, which then go into separate makeup bags. This way when I get to the hotel, I could just grab one bag for shower purposes and the other for when I need to head out. 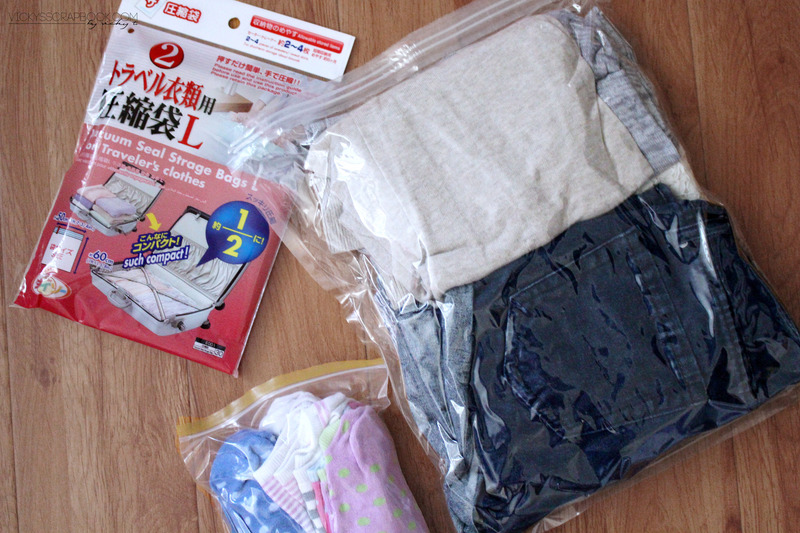 I found these vacuum seal bags, which are basically larger size ziplock bags, at Daiso and it works very well with putting my clothes in and saving some extra space. I did this with everything. I even placed my socks and underwear into small ziplock bags and then just pushed out the air to save space in my luggage. I like to do my research first of the area so that I know what to bring and what to expect. I’m going to a country that’s hot, humid, and has occasional rain at this time of the year so I know for sure that I would need an umbrella, sandals, hat, and expect to get wet from rain and sweat. To keep all my dirty laundry from smelling too bad, I’m also packing a few dryer sheets. Haha at this point, you might be wondering where the heck I’m going. If you would like to find out, please follow me on Instagram (@vickyt0215)! 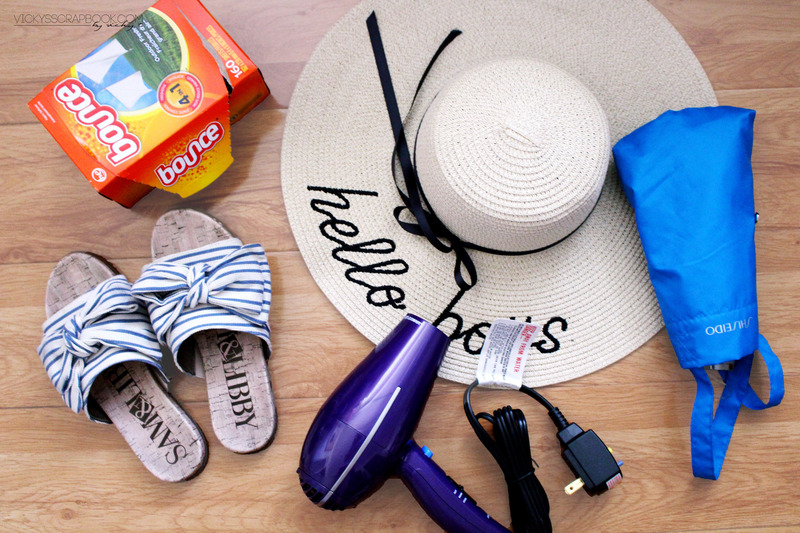 Are you going to anywhere for the summer? Hahaha I knew it would happen! I travel quite a lot, so this post was helpful! this looks like a very well prepared list! hope you enjoyed your trip 🙂 I’ll make sure to try out the vacuum bags :O do you think they are better than rolling your clothes? Oh I was using this list to make sure I didn’t forget anything. The vacuum bags do make the clothes a bit wrinkly but if you don’t mind wrinkly clothes I think they save a little bit more space than rolling them.